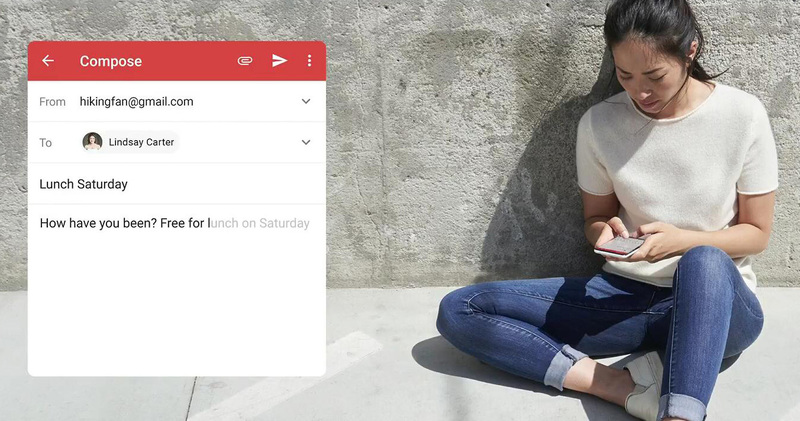 Google rolled out Smart Compose in Gmail earlier this year, but it was only on the web. Now, it's coming to mobile, but not everywhere on mobile. At Google's hardware event, Rick Osterloh noted that Smart Compose would arrive in Gmail for Android as a Pixel exclusive. Smart Reply is another fancy machine learning technology that uses the context of what you're writing to suggest text. You might type "my address is," and Smart Compose could suggest your address (if you type it a lot). The demo video showed a swipe from left to right inserting the suggested text in Gmail, but you don't have to accept Google's suggestions. Making this a Pixel exclusive is not without precedent. Features like Assistant and Lens started on Pixel phones before expanding more widely. Odds are that more phones will have Smart Compose before you know it.